26680 Little John Ct #84, Bonita Springs, FL.| MLS# 218058935 | Southwest Florida Residential Real Estate for Sale. PRICED TO SELL!! GREAT RENTAL HISTORY!! 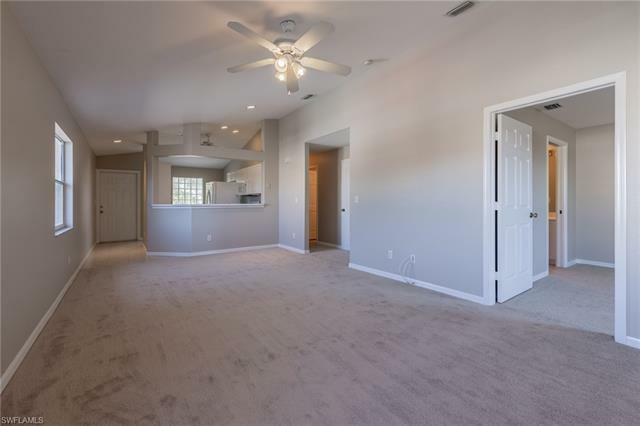 Freshly painted, BRAND NEW CARPETS, 2 bedroom, 2 baths END UNIT gem provides charm, space, abundant amounts of light. Kitchen has an eat in area with a glass block window for light and privacy PLUS breakfast bar that opens up to a separate dining area and a large great room. The split bedroom plan offers a LARGE master bedroom, master bath with dual sinks, walk-in shower and a HUGE walk-in closet. There is covered parking and even an outdoor exterior storage area. The neighborhood has a community pool, and clubhouse and is 15 minutes to the beautiful beaches of SWFL and 10 minutes to Coconut Point.